Mr. Tumnus: It's not something I have done, Lucy Pevensie. It's something I'm doing. Lucy: What are you doing? Mr. Tumnus: [whispers in tears] I'm kidnapping you. Mrs. Beaver: You've been sneaking second helpings, haven't you? Mr. Beaver: Well, you never know if your next meal's going to be your last. Especially with your cooking. 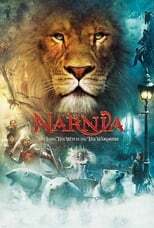 Peter: [looking out towards Cair Paravel] Aslan, I'm not who you think I am. Peter: You're not saying you believe her? Professor Kirke: What, and you don't? Susan: Of course not. I mean, logically, it's impossible. Professor Kirke: What do they teach in schools these days? Professor Kirke: [walking into the room as the children fall out of the wardrobe] What were you all doing in the wardrobe? Peter: You wouldn't believe us if we told you, sir. Professor Kirke: [tosses cricket ball to Peter] Try me! Susan: [reading the dictionary] "Gastrovascular"... Come on, Peter. "Gastrovascular". Edmund: Is it Latin for "worst game ever invented"? Lucy: We could play hide and seek. Peter: [sarcastically] But we're already having so much fun. White Witch: Do you know why you're here, Faun? Mr. Tumnus: Because I ... believe ... in a free ... Narnia. White Witch: You're here, because he [points to Edmund] ... turned you in ... for sweeties! White Witch: Tell me, Edmund, are your sisters deaf? White Witch: And your brother, is he ... unintelligent? White Witch: THEN HOW DARE YOU COME ALONE?